For those of you lucky enough to live in or near the City of Sydney, you would have noticed that more bike paths have sprung up in recent months. The free 'Cycling in the City' course, sponsored by the City of Sydney, is a fun half-day course to help cyclists navigate the newly accessible streets and roads of Sydney by giving you some helpful pointers. The first forty-five minutes or so of the course is spent talking over road rules and etiquette. The next thirty minutes or so is then spent doing some drills with the instructors – how to stop suddenly without injuring yourself and others, how best to signal others on the road when you're changing or turning lanes etc. The best, and the most fun part of the day, is the second half of the day when you get to cycle en masse from Sydney Park to Central via various streets, lanes, bike paths and roads… it's almost like a free half day tour of inner city Sydney as you cycle from St Peters/Newtown to Alexandria, Redfern, Surry Hills, Central then back to Sydney Park via Waterloo. The route changes from time to time and you also stop at various points to run more drills, and if you're lucky, you may also stop off at a café for a caffeine hit. The early starting time may deter a few people but it's definitely worthwhile. The instructors are all extremely nice and friendly and relaxed (which is what you want when you're cycling on the road) and it's just a lot of fun to cycle through inner-west Sydney especially on s crisp sunny winter day. It's also a good way to discover some hidden gems and figure out good ways to cycle the next time you're on the road and in the mood for cycling fun. Best of all, it's free! 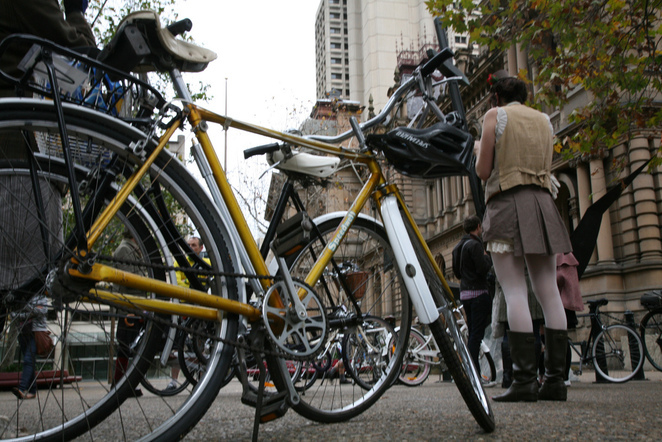 For more information and to book yourself a spot, visit: Sydney Cycleways.